In 2013, the UN released a report calling insects "untapped for their potential for food.” In fact, 80% of the world eats more than 1,600 species of insects including Jing Leed in Thailand, Escamoles in Mexico, and Casu Marzu in Italy, just to name a few. Now, the United States is adding crickets to the list. Made in the USA, Exo Protein Bars contain all natural dates, dried fruit, honey, nuts, flaxseeds, and a game-changing protein source—cricket flour. Why crickets? For starters, crickets are high in protein, omega-3 fatty acids, and B-vitamins and low in saturated fats and sugars. They're packed with all the essential amino acids, more iron than beef, and almost as much calcium as dairy. And, then there’s the environmentally-friendly part of the story: 20x more efficient to raise for protein than cattle, crickets produce virtually no methane, reproduce extremely quickly, and require minimal feed, water, and space. 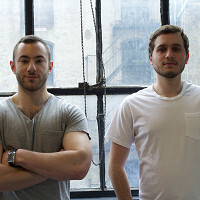 Gabi Lewis and Greg Sewitz, the creators of Exo Protein Bars believe insects are the protein of the future. Just like other high quality protein, their crickets are raised for human consumption and fed an organic grain diet. One bite and even the least adventurous taste testers in our midst were convinced. Gluten free, dairy free, and full of cricket protein, by Jiminy, these bars are well worth a try. Hi everyone! I'm Greg, co-founder of Exo. At Exo, our mission is to normalize the consumption of insects as a sustainable, healthy alternative food source. Our first product is a line of protein bars formulated by a 3 Michelin starred chef. Please feel free to ask any questions! Thanks! I was curious who is the Michelin starred chef that formulated your recipe? And what is the reason for the high cost of the bars overall? $3 a bar seems a bit steep if the idea behind them is to use a more sustainable and more efficient protein source. So why is the cost double if not three times that of more conventional protein bars? Is this due to the economies of scale and you intend for price to drop in the future or is this your intended business model? For me I see a $3 protein bar that offers just 10g of protein to be more of a one off lark due to its exotic nature rather than something that would find its way into my regular diet. Thank you in advance for taking the time to read my questions/comments. Great questions. Yes, these bars a little bit more expensive than others but it's a brand new product with premium ingredients. Greg will be along very shortly to answer everything more specifically but we do hope that you embrace this new idea we're supporting. I am O.K. with the crickets,and I even at that price I would give it at least a try. What makes me pause are the calorie, in particular the sugar count. That's out of my comfort zone. *Our chef is named Kyle Connaughton. He was formerly Head Chef of R&D at The Fat Duck restaurant in England. 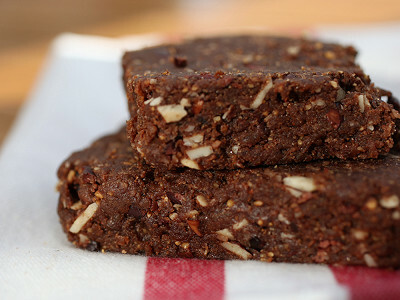 *The bars are incredibly nutritionally dense. The high calorie count comes from nut butters, and the sugars are from dried fruits and honey. Nothing processed or refined and certainly nothing unpronounceable. Just real, whole foods. Thanks for the response. Even sugar from " good" sources is ultimately still sugar. I would also prefer more protein (20 grm.) in my protein bars. But I'm sure you will be tweaking you product in the future. Thank you for developing these bars. So great to see someone offering interesting, eco-friendly and nutritious alternatives to beef protein, with it's numerous unfriendly environmental effects. Sounds as though you've developed a top-quality product that will add some variety to what's on the market. Looking forward to trying them out. What's wrong with good old casein or whey or many plant proteins? Or even as a last resort soy protein? Perhaps if there's a collapse in the food supply and there's nothing else handy I might resort to consuming an insect based protein bar, but I can't imagine eating one during normal times or paying a premium for the "privilege". Today it is cricket flour, what will be coming our way next, cockroach flour? I can't help but wonder if perhaps this product is just a little too exotic for the U.S. market at this time. I suppose we will see how well it does over time at The Grommet. Nothing is necessarily "wrong" with the proteins you mentioned. And we're not trying to replace every other protein with insect protein--we're simply offering a healthy, sustainable alternative. And one that is less processed than whey, soy or casein. All I can say is EWWWWWW. I've seen insect eating shows and people but no thanks. Especially not at $3 a bar if that's what they are. Food is just getting weirder and weirder. Amy from The Grommet team here. We know this Grommet won't be for everyone and respect your opinion. If you're a regular visitor, you know that we often times introduce new ideas and new ways of doing things - today is no exception. Thanks again for your input. It isn't as if it is whole crickets or even pieces. Rather, it is just a flour made from crickets. Chances are you wouldn't even know you were eating them if you weren't told that is what the bars were made from. @Peggy. There is nothing weird about eating crickets. Most other cultures and your ancestors ate bugs for nutrition and sustenance. Admittedly, I could never do it if it were a whole cricket, but I am willing to try it when it is a flour I won't see or taste because the nutritional content is better than cow. Price wise, it is almost the same as the quality whole foods nutrition bars I buy that are whey free. No mention of GMO's or Organic on the label, if one is trying to sell at this price point and into the high end maket, dont you think it should be? @Guy Hi Guy, we are non-GMO but currently not organic certified, as we're still developing the regulations around organic cricket farming! Is the nutritional breakdown included on the packaging? I'm curious as to how many carbs and how much sugar and salt the bar contains. In our details section, which you can find when you click into an image that says "buy", you'll see detailed information on the nutrition for each bar. We are offering several flavors and they vary per bar. Please let me know if you have trouble locating the information. Thanks for the warning!!!! I'm a vegetarian for 42 years and wouldn't eat these bars if you paid me $3.00. Luckily, I'm not being fooled, and thanks for telling me that you must get great pleasure, and many dollars, from raising and killing the innocent critters. You can count me out, and I'll be certain to warn many others about your product. Try inventing something else, and take a class in Buddhism if you want to evolve your thinking. Your opinion is valued here, so thank you. As our CEO, Jules Pieri says, one of the core tenets of our Grommet community is to be respectful of our Makers and their products that we discover. Our goal isn't to launch products that everyone will support at once, but to launch those that are new, unique, innovative and worthy of attention. Thanks again. I can't wait to share this information with my 6th graders! They are part of a generation that will have to think differently to solve the complex issues in their lifetime. This product models that type of thinking, and the outcome is a product that meets the needs of our planet. We will recognize your greatness! In 2013, the UN released a report calling insects "untapped for their potential for food.” In fact, 80% of the world eats more than 1,600 species of insects including Jing Leed in Thailand, Escamoles in Mexico, and Casu Marzu in Italy, just to name a few. Now, the United States is adding crickets to the list. 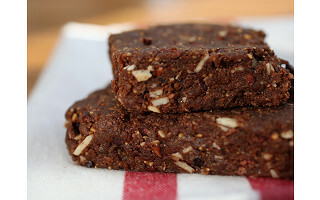 Made in the USA, Exo Protein Bars contain all natural dates, dried fruit, honey, nuts, flaxseeds, and a game-changing protein source—cricket flour. Why crickets? For starters, crickets are high in protein, omega-3 fatty acids, and B-vitamins and low in saturated fats and sugars. They're packed with all the essential amino acids, more iron than beef, and almost as much calcium as dairy. And, then there’s the environmentally-friendly part of the story: 20x more efficient to raise for protein than cattle, crickets produce virtually no methane, reproduce extremely quickly, and require minimal feed, water, and space.